James Sullivan has been having a chat with one of the better Irish performers from the London Olympics, racewalker Laura Reynolds. 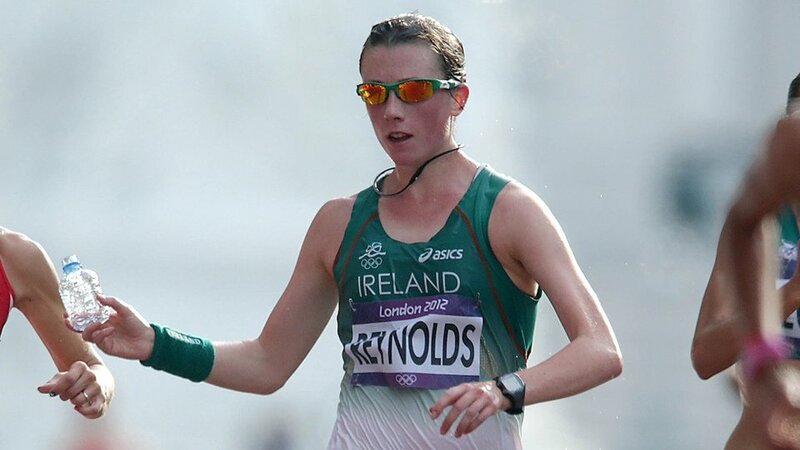 Laura Reynolds is an elite racewalker from County Leitrim, Ireland. 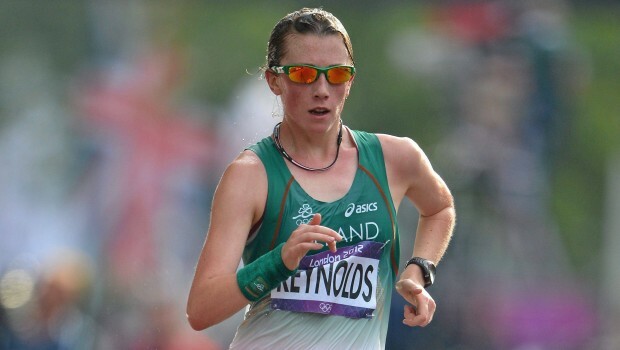 In her debut senior major championship at the 2012 Olympic Games in London she finished in 20th place in the 20k Walk, in a personal best time of 1:31:02. This places her 3rd on the Irish all-time list for the event behind world silver medalists Gilliam O’Sullivan and Olive Loughnane. Laura: No problem at all. In Leitrim they have Primary Schools Athletics competitions. I was about 10 when I first took part in them. I was already involved in many other sports, like Gaelic football and basketball so I decided to give athletics a go as well. Then I got involved in Community Games and joined the local athletic club. Laura: I remember in primary school watching Sonia O’Sullivan winning a silver medal in the Sydney Olympics. I would have seen Catherina McKiernan out running on the roads in Cavan as well and heard all about what she achieved. They both were an inspiration to me. But when I got more involved in racewalking, I had Gillian O’Sullivan, Olive Loughnane and Rob Heffernan, all who have been very successful on the international stage, to look up to. Laura: Well I found that I was better at endurance events so I did running and I gave race walking a go as well. I ran cross country and track until I was about 15. The best I achieved in running was at the All Ireland Schools when I was Intermediate, I won the 2k walk and then I came 4th in the 3k run. I qualified for World Youths in Morocco when I was 16 and it had been that season that I had decided to take walking more seriously and gave up the other sports and other events I was doing. But I liked the walking better. As well as the endurance part, you also have the technical component which makes the event a bit more challenging. James: At this year’s Olympic Games in London you finished in a highly credible 20th place in your debut senior major championship. Can you put that experience into words? Did you expect to perform so well? Laura: The whole Olympic Games was a brilliant experience. To come 20th and get a PB by over a minute and a half, I couldn’t have had a better senior debut. And to do it with my family and my friends all there to support me made it extra special. My preparation hadn’t been smooth right up to the race due to a hip injury but I knew I had a good performance in me. The main thing for me at 23 and it being my first Olympics was to gain the experience of a major championship and of course to enjoy it as well. Laura: I didn’t think that the crowds would be as big as they were. But all the road events, the walks, the marathons and the triathlons, had huge support and it was a great atmosphere for the athletes. I think you have to view the big crowds as something positive and use it to your advantage. There was huge Irish support and you just have to feed off it and use it to drive you on. James: Away from your own event can you describe the experience of being part of Team Ireland for London 2012? Did you get to see any other sports during your time in London? Laura: It was great being part of Team Ireland and getting to meet athletes from other sports as well. To be part of the same team as many of the athletes that I had watched in the previous World Championships and Olympics was some experience. The OCI and Athletics Ireland organised an excellent camp in Lensbury with all the support there. I was on the second last day of the Games so I spent most of my time in the holding camp in Lensbury. I was only in the Olympic Village for a few days. James: Excluding London, what one moment from your career to date are you most proud of? Laura: Apart from London, it would have to be when I got my first A standard in La Coruna in June this year. I was nearly a minute inside the Olympic A standard and qualified for the Olympics. James: What are your goals for 2013? Laura: My main targets are the European racewalking Cup in May, the World University Games in July and then the World Championships in August. James: Can you give us an insight into your training? What would an average week of training be like, specifically in terms of key sessions and total mileage? Laura: It depends on what phase of training I’m in. I do 120-130km a week. I walk twice a day 5-6 days a week and take one day off a week usually. There are two longs walks between 20-25km, then two strong sessions, depending on the training phase – fartleks and tempos, and then the rest would be easy-steady walks and technique work. Then there are gym sessions twice a week and rehab twice a week. Laura: I don’t mind doing any particular session when I’m healthy. Going out for a second training session in the evening is never nice after you’ve done a hard session in the morning. Laura: To be the best that I can be. James: The current world record for the men’s 50km walk is a staggering 3 hours 34 minutes, which equates to well under sub 3 hours for a marathon, quicker than most people can run such a distance. Do you feel that some people do not appreciate the extraordinary athletic ability of race walkers? Laura: I think that people who are involved with athletics know how fast walkers go and how hard they train. 50km is the longest event on the athletics programme and is the most gruelling. James: What should be done to get more young Irish people into athletics rather than the traditional sports of football, rugby and GAA? How can the profile of the sport in Ireland be improved? Laura: I think that primary schools and secondary schools need to be targeted for promotion of our sport. We need athletes/ coaches sent into schools to help get more kids involved in athletics. I suppose if we won more medals on the world stage, the profile of athletics would in turn rise. James: That’s great Laura. Thank you for your time and best of luck in 2013.